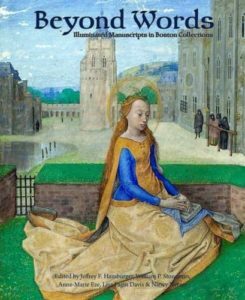 Houghton Library is delighted to announce that due to popular demand its exhibition Beyond Words: Illuminated Manuscripts in Boston Collection will run for an extra three days. The library is beyond words with the success of its fall show which has received a record-breaking number of visitors from the Harvard community, Boston-area, rest of the United States and overseas. Join Beyond Words curators William P. Stoneman and Anne-Marie Eze for tours of the exhibition in Houghton Library’s Edison and Newman Room on Monday December 5, 5.30-6.30pm and Tuesday December 13, 12-1pm.